Business Link Japan provides the ‘next step’ follow on services to clients of DIT. If you require a more in depth support system in Japan to successfully develop your business then BLJ has a range of services for you. The BLJ mission is to help clients minimise cost, minimise risk, and maximise business revenue in Japan. Good communication and in depth understanding of your specific needs is critical to our success, and to facilitate this we have recruited and developed a team of Japanese staff who are are bi-lingual and bi-cultural, and have experience of working in both the international business world and the domestic market in Japan. Our UK based staff are conveniently located at our office in Corby Northants, and can meet with you on the UK side to discuss your needs, and our Japan team are located in Aoyama Central Tokyo. Our Japan office includes an ‘Incubator Centre’ which provides the local Japan base for many UK companies, this is a really cost effective way to have your first local presence in the Japanese market. We work along side you to develop your business in Japan every step of the way, and many of our clients have been working with us for multiple years. Some of our clients already have experience and success in Japan, others are completely new to the market… either way we will be delighted to work with you and add value to your process. Immediate ‘On the ground’ Sales, Marketing and Technical/engineering support by well qualified and experienced Japanese team members. Development and implementation of the correct market entry strategy for your business. Development of direct sales channels. 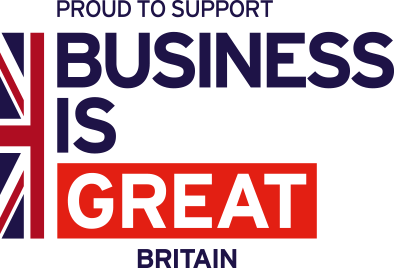 Our client list is rapidly expanding and we have now worked with over 50 UK companies to help them in Japan, from small start up’s to global multinational corporations. Whatever your needs in Japan, please contact us for an informal discussion and we will be pleased to talk with you.